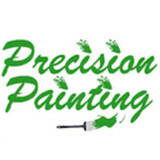 Precision Painting is a Vail Valley company that you can count on to complete each job with punctuality and quality. We take our time to do the job right. Doing it right means properly assessing and preparing the surfaces we are painting, protecting surrounding areas including shrubs and other plants for outside jobs, and also using the highest quality paint available to complete the job. Our attention to detail and preparation effort ensure that the surfaces we paint stay looking great for years to come. We value each and every customer and that's why every job is handled in a professional, courteous manner. 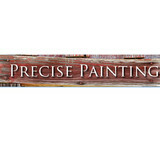 Precise Painting is a continuation of a family tradition that started over 30 years ago. Focusing on high quality interior and exterior painting and finishing services, we have a solution for all of your painting needs. We are proud to employ hard-working, intelligent, and trustworthy people living right here in the Gunnison Valley whom you can trust being in your home or business, and who take personal pride in our mission to deliver the utmost in service and quality craftsmanship.In choosing Precise Painting, you can be assured you will receive the highest quality end product delivered in an honest and transparent manner, in a timely fashion, and at a competitive price. 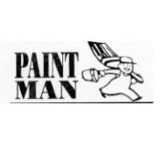 Paint Man is a Painting Contractor service in Edwards, Colorado, providing complete painting services for your home or building. We have the confidence to paint your home exactly the way you want and more than 25 years of experience to back us up. Prompt,Professional, Painting. My crew & I pride ourselves in quality work. Our commitment to quality craftsmanship and courteous customer service has allowed us to thrive as a residential and commercial painting contractor. From large new construction jobs to smaller refinishing jobs, it's our goal to create beautiful, lasting results. We pride ourselves in using only the finest paints and finishes to produce the look you desire. Ensuring complete customer satisfaction has built Innovative Painting Systems, Inc. a solid reputation one stroke at a time. Exceeding your expectations is our standard. Located in Carbondale Colorado, we serve the Roaring Fork Valley and Grand Valley including: Aspen, Snowmass, Basalt, Carbondale, Glenwood Springs, New Castle, Silt, Rifle, Rulison, Parachute, De Beque, Palisade, Clifton, Grand Junction, Fruitvale, Orchard Mesa and Fruita. 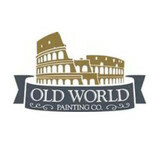 We invite you to call us to discuss your painting needs. Our experts will guide you through the painting process with exceptional service and care. Our painters are a professional team with a sincere respect for our clients and their homes. With Innovative Painting Systems you can rest assured; we are a fully licensed company accredited by the Better Business Bureau and all our work is guaranteed. SHERPA PAINTING specializes in Interiors, Exteriors & Custom Finishes. Sherpa Painting is fully insured painting & decorative finishing contractor. With full experienced and dedicated to do all phases of coatings for both residential and commercial projects, you can count on Sherpa. To ensure superior quality for our clients, we provide the best quality finishes by selecting the most durable & up to date products in the market with the quality workmanship. Regardless of the project size and scope, our philosophy stays the same: “Get to know our customers and give them exactly how they want". When you trust your home or business painting needs to Binkley's Superior Brush, you are guaranteed high quality work from one of the top painting providers in the area and product selection is available from some of the top brand names in the painting industry. We know exactly which tools are required for each contract and provide free consultations for your commercial or residential painting needs before beginning the job. When it comes to Residential Painting, Commercial Painting and Industrial Painting, no one compares to Alpine Painting & Custom Finishes. With years of combined experience, Alpine Painting & Custom Finishes has worked hard to build the trust of our clients in Avon, Beaver Creek and Vail and beyond. Visit our website to learn more. Or better yet, click the link and call us today! Ever since Prima Painting was founded, we have established our reputation as one of the leading commercial and residential painting companies in the Vail area. When you trust your home or business painting needs to Prima Painting you are guaranteed high quality Vail painting services from one of the top area painting providers and product selection from some of the top brand names in the painting industry. We know exactly which tools are required for each contract and provide free consultations about your commercial or residential painting needs before beginning the job. So, even if you know nothing about painting, the talented staff at Prima Painting can assist you is discovering the painting services that you need. Our promise to our customers is as follows: We will never rush a residential or commercial painting job. We will use the top quality paint and tools to complete your contract to your satisfaction. We will never leave any tools, stains or materials behind that you must clean up. We will always stand behind our work and take pride in your painting service.